Imagination Station Augusta: A Neighborhood Children’s Museum, 965 Hickman Rd. 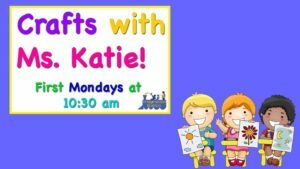 First Monday of Each Month | 10:30 AM - 11:30 AM | Imagination Station Augusta: A Neighborhood Children's Museum Join our newest volunteer Ms. Katie the first Monday of every month at 10:30 am for arts and crafts! Visit the Facebook Event Page HERE!